Cannock is a town located in Staffordshire with a population of approximately 30,000. Birmingham lies around 20 miles to the south, while the Cannock Chase Area of Outstanding Natural Beauty is on the doorstep. At My Home Move Conveyancing we have been developing and improving our knowledge of local property markets since 2002, meaning we can offer our clients in Cannock an outstanding specialist, fixed fee conveyancing service. Should you wish to buy or sell property in Cannock, you’ll require a lawyer to carry out the legal work on your behalf. 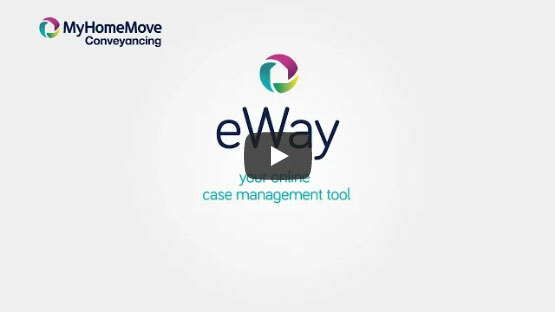 At My Home Move Conveyancing we are proud of our award winning customer service, that is enhanced by being open seven days a week, and is complemented by our innovative use of technology and intimate knowledge of the local area. We provide a fixed fee conveyancing service, meaning when you choose us as your Cannock conveyancers you’ll know exactly what you’re paying from the outset, with no hidden charges to worry about. If, for whatever reason, you don’t end up moving, you won’t need to pay us a thing. Each of our clients are assigned a dedicated conveyancer, who is tasked with looking after your case from start to finish, and will provide you with updates along the way. At My Home Move Conveyancing we provide our conveyancing services in Cannock to customers in places such as Heath Hayes, Hednesford and Rumer Hill in the local area. The average house price in Staffordshire is £142,031, while over the past year the overall average sale price in Cannock was £156,124. Semi-detached properties were most popular among buyers, fetching an average of £132,301, while detached properties also sold well for an average of £224,138. Terraces went for £122,202 and flats for £82,264. A small rural community until the mid-to-late 19th century, Cannock grew rapidly due to its coal reserves and location close to the Black Country. With plenty of modern amenities to be found in the town’s good sized centre, one of Cannock’s strengths is its setting just to the north of the West Midlands conurbation. Cannock sits close to the M6 motorway, while the A34 and A5 also serve the town. Direct trains to Birmingham New Street are usually every hour, and take just 40 minutes, while Birmingham’s airport meanwhile is less than 30 miles away. There is a range of good schools in the area to suit families with children, including Five Ways Primary, Gorsemoor Primary and St Luke’s CofE on New Penkridge Road at junior level. Secondary options include Cannock Chase High School, Chase Grammar School and Kingsmead Technology College on Hednesford’s Kings Avenue. All properties in Cannock will fall within one of the following council tax bands.